Non-Prism Ranging about 2~200m. It enables to use in place where is difficult to place Prism directly such as heavy trafic or difficult to go in. 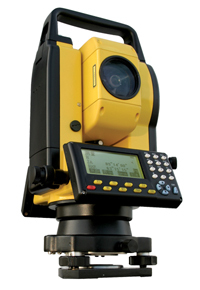 For example, it is available to operate without going to the measuring point when measuring height of buildingor buildings close to your standing point. With a Prism, measuring a long distance is also available. 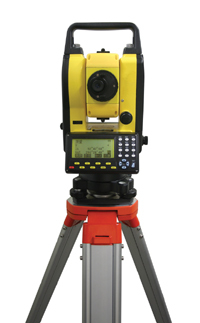 With Automatic Compensation Mechanism, it detects the slope of Instrument and compensates vertical angle. Furthermore, Collimation Mechanism enables high accurate measuring in order to compensate the error of collimation axis of Telescope. It can save about 50,000 data in inside memory. And also it can input or output data with PC using RS232C cable. Pinpoint ranging with the small diameter and visible laser beam. Due to Pulse Laser, Pinpoint distance measuring is possible. Laser Point is about φ15mm at 80m away(in Non-Prism mode and strong light). 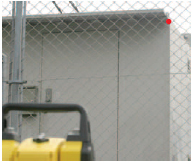 Thus it does not diffuse laser beam over the fence, on the corner of walls and a manhole where the incidence angle is very shallow so that precise measurement is available. Big LCDs at both sides. It can also change allotment of function key so that it can recall the key you use frequently with one press. Continuous emission of visible laser point is available. For collimation in short distance at indoor work, it is very useful to decide rough collimating direction. As it is not neccessary of Zero setting of 90°on Up-Plump so that you can start operation quickly. 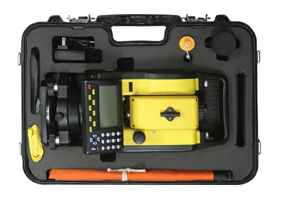 Furthermore due to its stable angle measuring accuracy, you can obtain very accurate measurement result. A variety of programs are loaded. In addition to Basic Measurements, there are still Setting Out Measurement, Offset Measurement, Missing Line Measurement, REM　Measurement, Resection Measurement, Area Calculation & Setting-out Line. Rechargeable battery is used for the Power. 2 sets are included as the standard accessories. 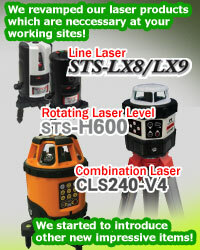 There are four models for TSS-200 series. 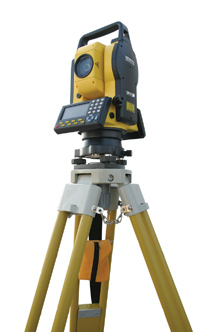 It depends on the measurement angle accuracy, 3" or 5", and tribratch type. And also the minimum indication is selective between 1"/5"/10" for all models. Rechargeable Battery BTTS200 x 2 pcs. Continuous operating hours	 Continuous operating hours: About 7 hrs. Recharging hours Recharging hours：About 4 hrs. （※１）Measurement Condition: Visual Range is about 20km, and there is a little simmer of hot air, weak sunshine and moderate wind. 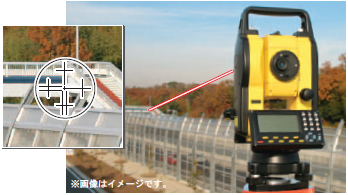 （※２）Available measuring distance with STS Reflective Sheet(RF53) is about 2~600m. Copyright © 2006-2015 STS Corporation. All Rights Reserved. All content contained in this site such as photographs and images may not be reproduced and or reprinted without prior written consent of STS.